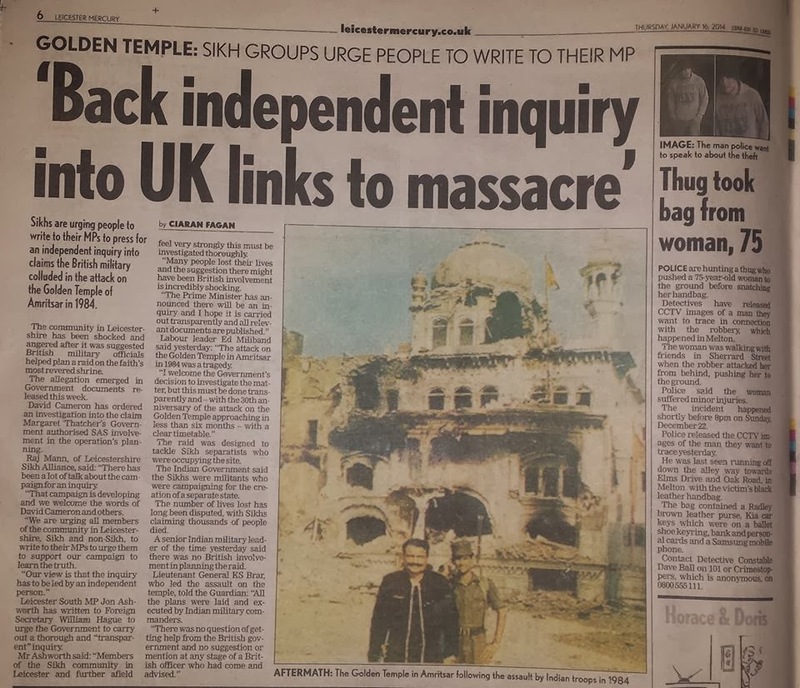 Leicester’s Sikh community were left in shock when news first broke of alleged British collusion in the bloody Amritsar Massacre, which involved an Indian army attack on the Sri Darbar Sahib (Golden Temple), the faiths holiest shrine, and 6th most visited place on the planet. 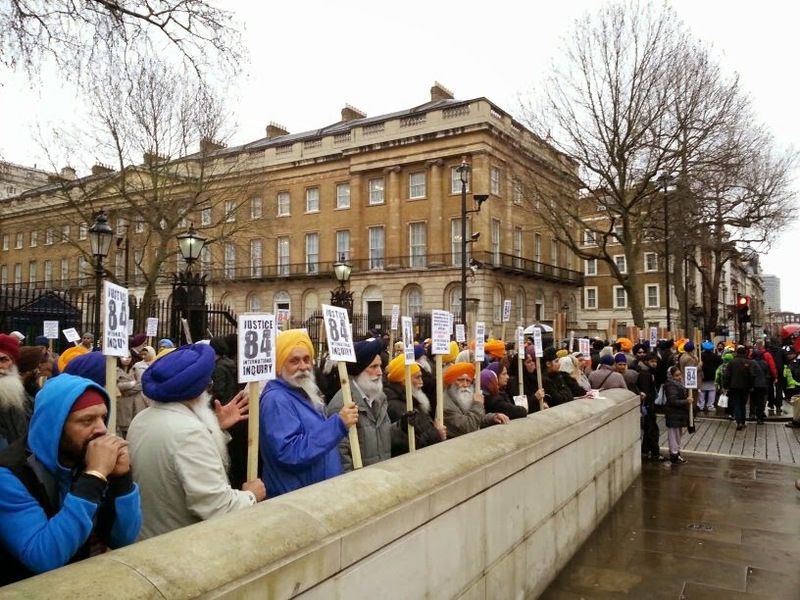 The following article written by, Dabinderjit Singh, for Politics.co.uk contextualises the issue: http://www.politics.co.uk/comment-analysis/2014/01/16/the-truth-behind-the-amritsar-massacre . 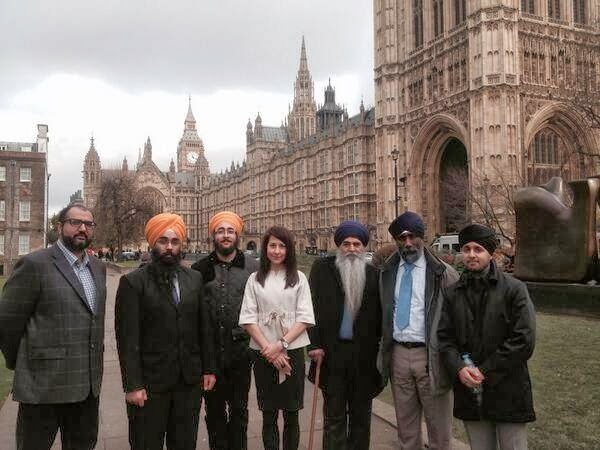 Lord Singh of Wimbledon recently secured a debate in the House of Lords on Monday 3rd March, which sought to discuss how relations could be improved with the Sikh community following publication of Government documents regarding British involvement in planning the attack. 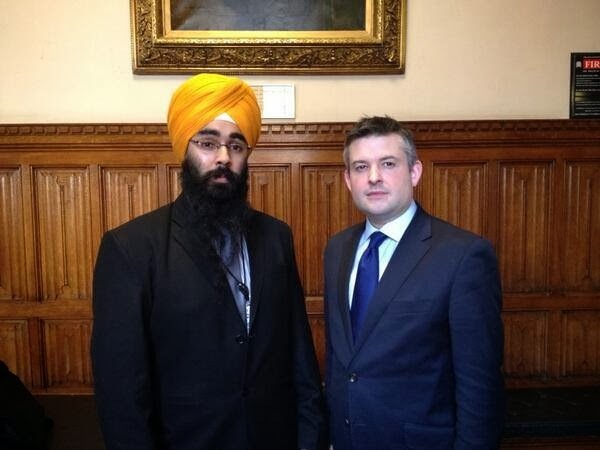 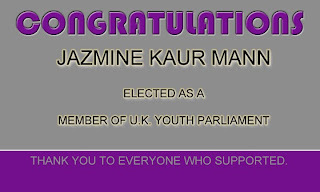 Amandeep Rai, a spokesperson for the Leicestershire Sikh Alliance further added, “Following the inquiry by Sir Jeremy Heywood, prominent Sikh organisations unanimously concluded that the terms of reference and scope of the inquiry were to narrow. 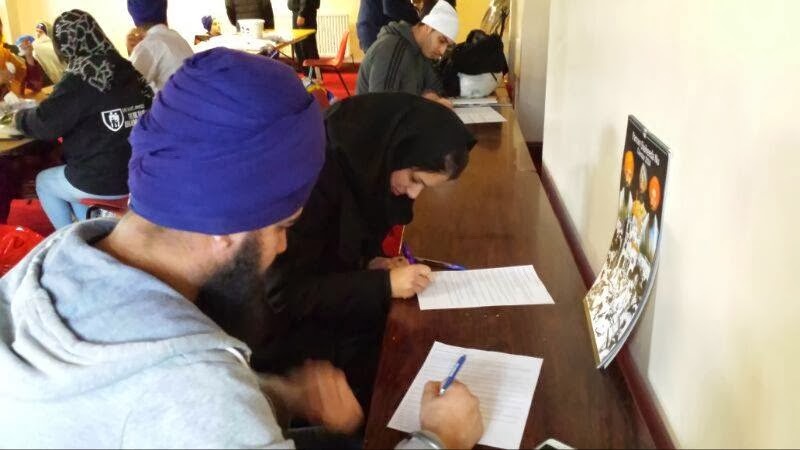 In this day and age of public mistrust in politics and dodgy dossiers, the community strongly feels that the full truth can only be illuminated through a public and independent judge led inquiry on the matter, especially when it surfaced that related documents were destroyed in 2009. 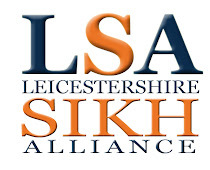 The community would like to thank Bishop of St Albans and Baron David Triesman for unequivocally calling for an independent public inquiry, both of whom were deputising on behalf of for The Right Reverend Tim Stevens, Bishop of Leicester, and Baron William Bach of Lutterworth respectively.